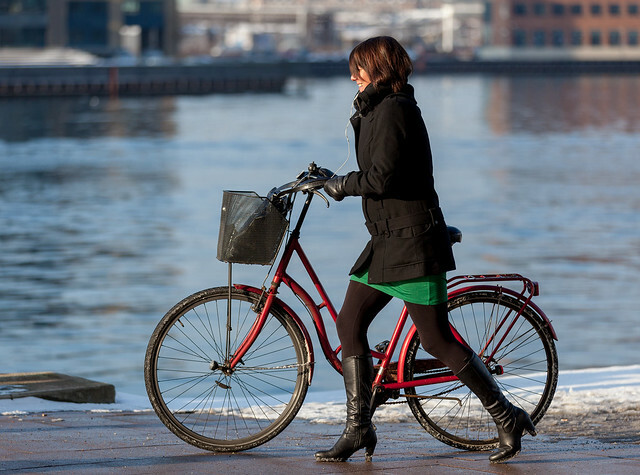 Some people look as great walking their bikes as riding them! Above; determined stride on a cold Winter’s day. Below; pure chic’ness with a woolly top to complement the curly hair. Looking good in the sun despite all the archetype Copenhagen Gent’s lackadaisical style effort. Other than the cute guy at the end, it appears you are really looking at women's legs than bikes. 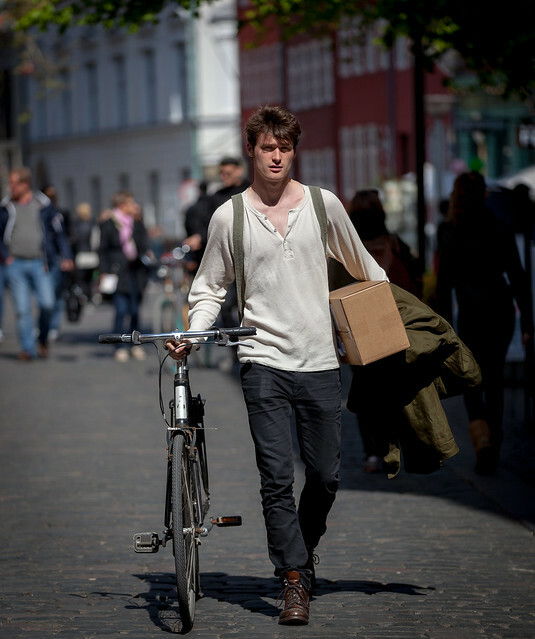 English singer Jamie Cullum follows Copenhagen Cycle Chic.